Many modern Christian thinkers have rearticulated this attitude throughout the centuries–even today. The Church of Christ has never lost sight of the thought that the “chosen people” who nailed the redeemer of the world to the cross must bear the curse for its action through a long history of suffering…. But the history of the suffering of this people–loved and punished by God, stands under the sign of the ﬁnal homecoming of Israel [the Jews] to its God. And this homecoming happens in the conversion of Israel to Christ…. The conversion of Israel, that is to be the end of the people’s period of suffering. From here the Christian Church sees the history of the people of Israel with trembling as God’s own, free, fearful way with his people, because God is not yet ﬁnished with it. Each new attempt to solve “the Jewish question” comes to naught . . . Shades of Dr. Jekyll and Mr. Hyde! Before I came across this passage, I never realized that Bonhoeffer suffered from religious schizophrenia when it came to the Jews. Bonhoeffer did not regard the Jew as a brother in faith, worthy of ecumenical respect. He felt no sympathy for the racial anti-Jewish laws passed by the Nazis throughout the lands they conquered, after all, the German government was just carrying out classical Christian doctrines that were in place since the days of the 3rd century, where the Early Church Fathers promoted nothing but hostility toward the Jew. Short of actually killing the Jew, everything was considered permitted—even hard labor. After all, the Jews must suffer for their crimes against the Savior! Many years ago, my synagogue sponsored a short film on the life of Bonhoeffer and the producer of the film was there as part of the panel. I was curious why Bonhoeffer was never included among the righteous Gentiles in the Yad Vashem in Jerusalem, but given his smug theological attitude concerning the Jews—it is not hard to figure out why. Erasmus, the great Catholic humanist scholar said, “If it is Christian to hate Jews, then we are all good Christians” Martin Luther and a host of medieval and modern Protestant scholars would agree. The Church of Christ has never lost sight of the thought that the ‘Chosen People’ who nailed the redeemer of the world to the cross must bear the curse for its action through a long history of suffering. The final return of the people of Israel can only take place through the conversion of Israel to Christ. . . .The gospel lesson for the day throws light upon the dark and sinister history of these people that can neither live nor die because it is under a curse which forbids it to do either. Until the end of its days, the Jewish people must go its way under the burden which Jesus’ decree has laid upon it. But wait a minute . . . wasn’t he the person who famously said, “First they came for the Socialists, and I did not speak out– Because I was not a Socialist. Then they came for the Trade Unionists, and I did not speak out—Because I was not a Trade Unionist. Then they came for the Jews, and I did not speak out—Because I was not a Jew. Then they came for me–and there was no one left to speak for me”? Yep. But he was hardly alone in expressing his sentiment. In defense of Niemöller, he wasn’t an irredeemable anti-Semite. After the war, he later expressed regret about his own anti-Semitism in an interview he had with a West German television station he said: “Dear Friend, I stand in front of you, but we cannot get together, for there is guilt between us. I have sinned and my people have sinned against thy people and against thyself . . . . Thus, whenever I chance to meet a Jew known to me before, then, as a Christian, I cannot but tell him . . .” Perhaps his guilty conscience reminded him that someday he would have to answer before the Judge of the World and answer for his dastardly remarks about the Jews, God’s Chosen People, whom he so deeply scorned. Next,, we will now examine the words of the famous Protestant theologian Karl Barth, who has often been described as “the greatest Christian theologian since Thomas Aquinas,” an epithet I would personally and strongly take issue with. In the 1930s, he too charged the Jews with the death of Jesus – something they undertook not “in foolish over-haste” or misunderstanding, but, he asserted, as a “deliberate” act. 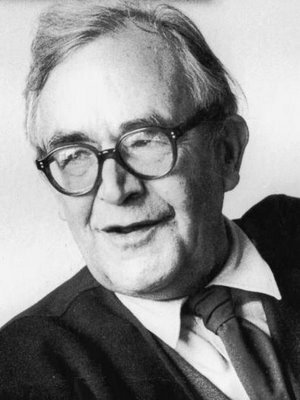 Then, in 1942, from his base in Switzerland, in his theological work “Church Dogmatics,” Barth castigated Judaism as a “synagogue of death,” a “tragic, pitiable figure with covered eyes,” a religion characterized by “conceited lying,” and the “enemy of God.” If the church needed the Jews, he felt, it was only as a negative symbol, for they are a mirror of man’s rebellion against God, against which Christians must continually struggle. I am decidedly not a philo-semite, in that in personal encounters with living Jews (even Jewish Christians) I have always, so long as I can remember, had to suppress a totally irrational aversion, naturally suppressing it at once on the basis of all my presuppositions, and concealing it totally in my statements, yet still having to suppress and conceal it. Pfui! is all that I can say to this in some sense allergic reaction of mine. But this is how it was and is. A good thing that this reprehensible instinct is totally alien to my sons and other better people than myself (including you). But it could have had a retrogressive effect on my doctrine of Israel. Barth’s animus toward the Jewish people is evident within the Presbyterian Church. And last but certainly not least, Walter Brueggemann and a host of lesser thinkers and teachers have become decidedly anti-Zionist and consider the State of Israel an outlaw state. Brueggemann in particular shares a Barthian characteristic that is striking. In their theological works, both Barth and Brueggemann love speaking about Israel, “Biblical Israel” in the abstract—but never with reference to the Jew who follows the Torah that “Biblical Israel” embodies. One gets the impression that Brueggemann finds Judaism, Israel, and the modern Jew to be an annoyance. Jewish Israel is a concept he and other Protestants refuse to accept because of their theology of Supersessionism. Perhaps to Brueggemann, the Jew is a nuisance–a theological anachronism. What else could one expect from the house that Luther, Erasmus, Bonhoeffer, Niemöller, Barth, and Brueggemann built? The fruits of the Protestant churches today and their hatred of Israel are bitter and worthy of oblivion. If Barthian theologians have an issue with the Divine election of Israel, I think they ought to take it up with God Himself, and stop slandering God’s people at every opportunity. Charles Patterson, Anti-Semitism (New York: Walker and Company, 1982), 16. Martin Niemöller, First Commandment, (London: Lutheran Church Publishing, 1937), pp. 243–250. Martin Niemöller Of Guilt and Hope (NY: Philosophical Library, 1947), 18. Chris Boesel , Risking Proclamation, Respecting Difference: Christian Faith, Imperialistic Discourse, and Abraham (Eugene, OR: Wipf & Stock Publishers 2008), 107. Karl Barth, Jürgen Fangmeier and Hinrich Stoevesandt (ed.) Geoffrey W. Bromiy (transl. and ed.) Karl Barth, Letters 1961-1968. (Edinburgh, T.&T. Clark, 1981) No. 260, pp. 261-263.